You are here: Home / Monsoon Memories / Monsoon Memories- Book Club Book? Are you part of a Book Club? Would you like to be? Do you think Book Clubs help you enjoy a book more? Or are you one of those people for whom reading is a private experience not to be shared, dissected? When my daughter started nursery, I found myself, all of a sudden with two free mornings on my hands to do with what I liked. There was always the housework, of course, but my policy with housework is to pretend not to see it, which works brilliantly most of the time (i.e., until I can ignore it no longer) – but therein lies another story. What I did do, on one of the mornings was join the book club at the local library. There is nothing I love better than being among books, so after years of nappies and nursery rhymes, this was a welcome change- something for me. I absolutely adored being part of the book club. I was by far the youngest person there, the others were all retired pensioners, but it made for lively discussions. I developed an eclectic taste and learned that nothing gave me more pleasure than discovering a book that I would normally have ignored and found that I enjoyed. I found that I relished books that challenged me, made me work a little just as much as easy reads, ones with a good story line and hook. The book club changed me, I discovered I could read anything and learned to give books a chance even though at first glance they did not look like my kind of book. In fact, I found with time that I did not have ‘my kind of book’, that I could read anything at all and that was liberating. 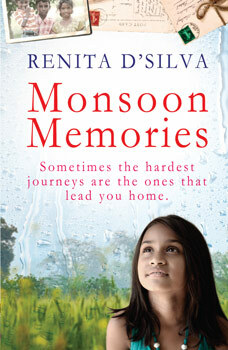 Plenty of you have been reading Monsoon Memories and have come back with wonderful feedback. Many of you have asked if there is going to be a sequel as you would like to know what happens to the characters after. Nothing planned as yet, but you never know. Watch this space. Quite a few of you wondered if this is a real story, biography perhaps. It is not, sorry. 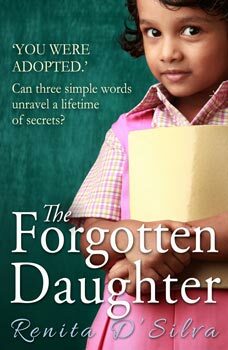 The story is fiction but the descriptions of India are based on places I remember from childhood. Okay, what I would like to know from you my wonderful readers is, do you think Monsoon Memories could make a good Book Club book? If so, what questions would you ask? What would you discuss? What did you love best about the book? What annoyed you the most? I would love to know. Thanks for buying Monsoon Memories, reading it, reviewing it. Samuel Johnson once said, ‘A writer only begins a book. A reader finishes it.’ Thank you for your feedback. If you haven’t done a review on Amazon yet, go on over, tell me and the world what you thought of the book. I am so lucky to be blessed with such brilliant readers. 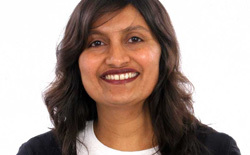 Next: Indian Fiction: Why Reading is the Perfect Escape.